Emma Dusong was born in 1982. A graduate from the School of Fine Arts of Paris with honors of the jury, she shows her work in France and abroad since the early 2000s. 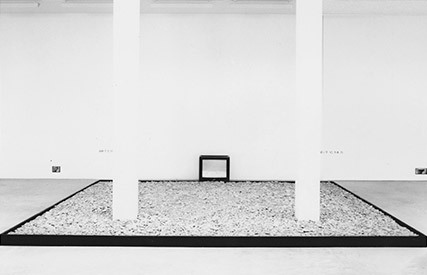 She had shows in 2016 at CRAC Languedoc-Roussillon in Sète, at CAIRN in Digne-les-Bains and at Centre Pompidou in Paris during the exhibition Polyphonies. 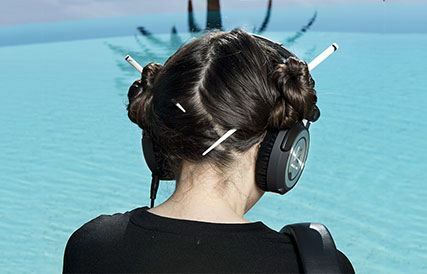 In a video made by Sandra Aïd and Michael Rudiger for the show Metropolis broadcasted on Arte, Emma Dusong explains how she imagines to make the house sing by looking for the composition, the voice and the melody the most right in relation with the architecture of Antti Lovag. Emma Dusong researches living experiences through the human voice as it speaks or sings. As a breath, her voice follows emotions, transforming itself and becoming for us the living source of an interior movement. Paul Armand Gette is an artist who likes to cover his tracks. His work explores the edges because he considers this to be where all possible developments can be found, a place of openings and a starting point for perception. His project is to challenge our perspective, to reveal, to suggest more than show by seeking the metaphoric dimensions of bodies and landscapes. For his intervention in the Maison Bernard, 0m. emerged as self-evident. 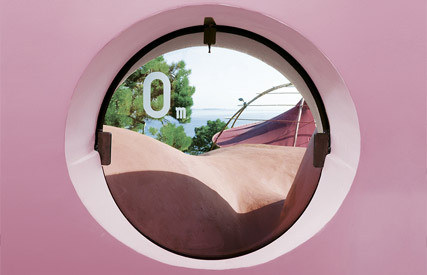 Paul Armand Gette chose to engrave this on the toilet’s glass window that opens onto the Mediterranean Sea.. Borrowed from natural sciences, 0m., a specific feature of the artist’s vocabulary, suggests a commencement and materializes the beginning of a landscape that integrates the architecture of Antti Lovag and the sea’s horizon.